We are so excited to announce that we are pursuing funding sources to support a Portobello mushroom production project. We have been asked about this by several of you throughout the years and have decided it is finally time. Stay tuned and keep an eye out for our Spring Newsletter! It's a well-known fact that when mushrooms are exposed to sunlight their Vitamin D content increases. In fact, after six hours in sunlight shiitake mushrooms have 400 times more Vitamin D than shiitakes not exposed to the sun (source here). Even without exposure to the sun, mushrooms have a range of incredible health benefits. They contain B vitamins like riboflavin and niacin, have high levels of ergothionine (an antioxidant found in beans, bran, and liver), and conjugated linoleic acid (an anti-cholesterol compound), among other things. Given these qualities, what effects might other types of light have on the nutritional compounds that already exist in mushrooms? The AZMGA's partners at the University of Arizona are examining this question. In the photo above Pearl Oyster mushrooms are growing in a wash of blue, white, or red LED lights. 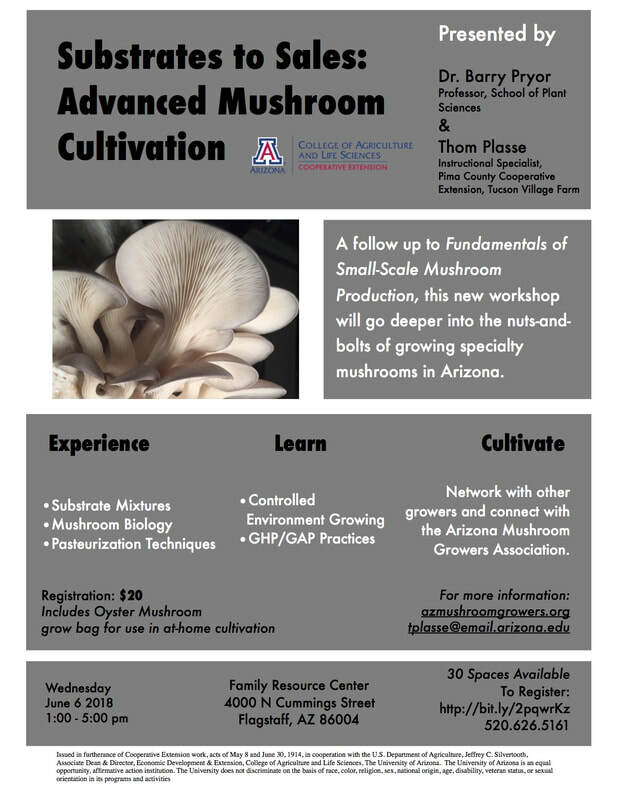 The Pryor and Kacira Labs at the U of A are growing under these unique conditions to determine the effects on the content of ergothianine, beta glucan, and protein in the mushrooms. As with all of the research done by our University partners, at the conclusion of the experiment the AZMGA will share the results with our members. 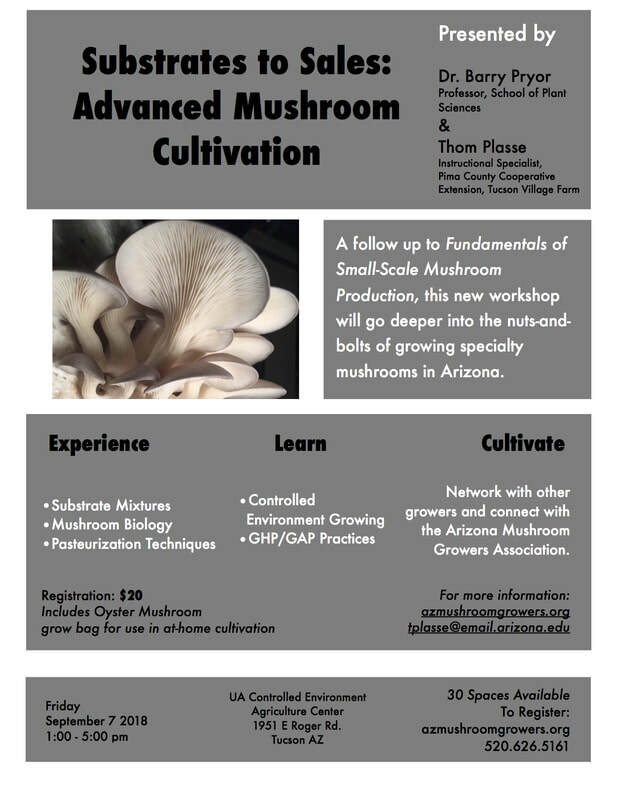 As interest in functional mushrooms and their nutritional properties increases, being able to naturally and easily increase the amounts of their desirable compounds would give Arizona mushrooms a competitive edge! Stay tuned for the findings of this ongoing experiment. And don't forget to check out the research page here at the AZMGA website for the findings of the Pryor Lab's previous research into substrates, spawn and fruiting environments.